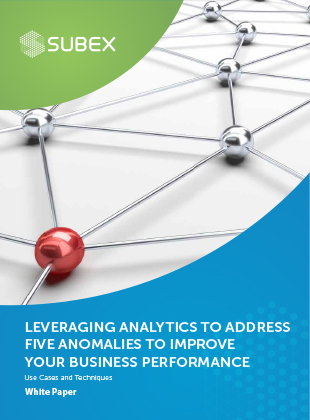 In this whitepaper, we discuss anomaly detection for Telecom data. We identify the five different kinds of Anomalies: Social, Network, Individual, Operations and DaaS (Data-As-A-Service). We also highlight the various use cases where Anomaly analytics could be extremely useful in improving the bottom lines of Telecom companies. Through the whitepaper, we also enumerate few of the algorithms that can be used for identification of Anomalies, and map the uses cases to the possible set of algorithms used to solve them. Download the whitepaper by filling the form.